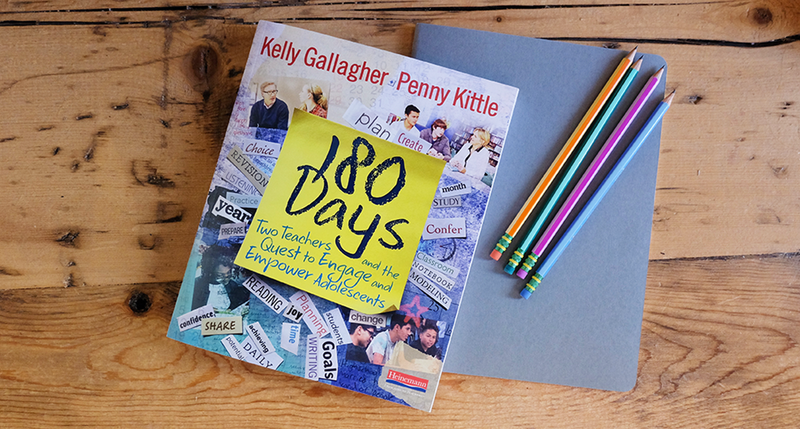 Today on the Heinemann Podcast, we’re diving back into 180 Days: Two Teachers and the Quest to Engage and Empower Adolescents with authors Kelly Gallagher and Penny Kittle. If you haven’t already, we invite you to listen to Part I of our conversation, where we talked about the need for flexibility, having agency in the work and the process of writing 180 Days. Penny: It felt much longer. Dog years. Kelly: Thanks for coming then. We'll see you next time. Brett: How has your teaching changed as you reflect back on this time together? Penny: In so many, so many rich ways. I think that I have Kelly's voice in my head a lot. And there's often times that he asks just the right question as I'm thinking through how I'm gonna do something. We got very familiar with Voxer, and would send each other messages. It's Penny in the high school parking lot at 6.30. I still want to do that a lot of times because I'll think, I wonder what he would say about this kid, cos I'm not sure what I wanna do here. And the part that's changed, is that I realize all of the years that I was teaching alone, that I could only know so much. I could only see so much. And now, all of a sudden I can see twice as much. And I sat beside who I consider to be a master teacher. I watched him with his students, the kindness and the generosity in just this ability to take something difficult and make kids want to learn it, was something that I could just stand next to and go, I've gotta do that. Just what he did. So I feel like I'm a bit of a Kelly clone, in a lot of ways. Kelly: Ah, you're being way too kind, but I would suggest, you know I could go chapter by chapter in the book we wrote, and say this is Penny's influence here. This is Penny's influence there. I mean I literally could spend a long time on that. I'll just suggest one that's a major, major influence. I think it took me 30 years to figure out, how do you confer, with a kid in your room when you have 38 kids in the room. And in the year we did this project together, our ninth grade classes, I had 38 students in the room. So what do you do with the other 37, when you are meeting one to one and, I'd even back up from that and say, that the value of that one to one time ... is something I always knew, but couldn't really get my head around philosophically, and I couldn't get my head around it, you know how does that work, when you have 38 adolescents in the classroom. And just the conferring element alone, transformed my teaching. And I think it's a question that a lot of secondary teachers have. And that one to one, shoulder to shoulder with a reader. Or that one to one, shoulder to shoulder with a writer, really is the best teaching I do. Best teaching we do. On any given school day, to have Penny bring that into my life, into my teaching life, just immeasurable the effect that that's had on my kids. Brett: So I'm a reader. I'm just picking up this book, I'm reading the introduction. Brett: As the authors, what would you want to tell me? How should I use this book? Kelly: How should I use this book? It is not our intention that you pick this book up and then go and try to become Penny Kittle, or Kelly Gallagher. I think the intention of the book -one of the intentions of the book- is what you referred to, when we started talking here. And that is this idea, of teachers reclaiming their agency. That these are different kids than you had last year. We need to make decisions that are in the best interest of those kids sitting in that classroom. I think kids are different than they were five years ago. I think the world’s different than it was five years ago. And I think the way we approach students is not different than it was five years ago or twenty years ago, in a lot of classrooms. And so, I would hope that the book is an invitation for teachers to think differently on how they might connect with young readers and writers. Penny: And I would say, with that, you've got a teacher who says, you know, I'm kinda interested in your book clubs, we'd lay out everything we did to make those book clubs work. And so, I think that that's part of the gift of the book is, so you wanna rebalance your reading and you realize that all core text study means that kids read less. Well, what does that look like in our rooms? How do we set up independent reading? How do we then transition to book clubs and what did we do when we studied core texts with our kids? And I think that, that right there is not meant, as he said, to be transplanted there but rather to say, we all learned from mentors and we're just gonna show you what we did. And say we know, that what you've got going on in your classroom is rich and real and something that we can't do. But here’s some of our thinking and if you stand next to our thinking, what is gonna happen in your classroom? And you know, maybe it gives people new ways to think about using writing notebooks, and modeling your writing. What does it mean? What does it look like? Here’s a sample, and that idea of us being agents of our work should transfer, I hope, to people being aware of the number of decisions they're making and then really thinking about how this decision impacts other things that we wanna see happen in kids. Kelly: It’s all of that but it’s a little bit more for me, and for us as well. Because as we film this we're at NCTE and we're interacting with a lot of teachers. Kelly: And I cannot tell you how many times I the last two days, a teacher has said to me, "I really like what you're doing. I really want to do this, but my system will not allow me to do this. My system has stripped me of my agency," and so what I'm hoping is that one of the, and maybe I'm a dreamer, but I'm hoping one of the uses of this book is that it will be put in the hands of decision makers and that it could be used as a tool for change for the people who really, really have taken agency away from teachers to reconsider what might be best for their students, and so I'm hoping that the book sparks conversation, that will spark change in classrooms out there. Brett: Let's stick with that for a second. I'm a classroom teacher, maybe I'm new, maybe I'm a veteran classroom teacher. I want to speak up to my school administration to make this change happen. Your wealth of experience between the two of you, how do I start those conversations, how do I bring that to my administrator? Penny: We started with surveys. Anonymous surveys of kids. Did you read last night’s assignment? Have you read a book in high school? And I've started that process in so many schools now where you just ask the kids for their honest thinking, and then you have to look at that and say, is this the best we can do? And what are the things that are getting in the way of kids engaging with reading? We don't have enough books in our school, we don't have enough current books. Or, we're not sitting beside kids and personalizing it and saying "Kelly how come you're not reading?" You at least begin with your community and your kids. Are your kids reading enough? Are they writing enough? Do they write with engagement and confidence? Kelly: We should probably talk about that because one of the major philosophical underpinnings of the book is that students are not reading enough and they're not writing enough, and you could teach every standard in the world, but if your kids do not read and write more than they're currently reading and writing, it doesn't matter if you teach every standard in the world. That volume is foundational to where we're going. I would also, you know in my world, and I've heard this, and I've heard people say this to you, is that I would hope in a system that this book becomes the focal point of a book study, amongst educators. I've heard people say, "we studied right beside them," I've heard people say "we've studied Read Aside" and it has changed what we are doing in our district, and I'm hoping people will, you know, that 180 Days will have that same effect. That it gives the teachers a tool in which to open the conversation with those who make those kinds of decisions and so I'm hoping that that kind of book study happens in a lot of districts. Brett: Before we wrap up I wanna get to the videos, you mentioned it before Kelly but I really wanna sit with that for a minute. You've got a rich tapestry of videos there. Brett:Talk a little bit about what's there. Penny: Two days that I taught in his room and two days he taught in my room, and we have, I don’t know, 35 to 40 conferences between readers and writers, and they're all live, there's nothing that, you know, we would approach a kid and, try to figure out how to help them just like we would in our classrooms, and there are a lot of mini lessons, there's one section that I love where we use a passage study to do the book talk, to have the kids write, to revise, to share what we're doing. Move it right into a mini lesson on introduction, it's like you can see the whole of a 50 minute block in his room, or you can see parts, and I see that's the brilliance of the editing here, is that you could study the book talks we did or you could just look at conferring for a while, it's wonderful, flexible stuff. Kelly: I also like, we did a lot of "Well welcome to Anaheim, Penny. Let's talk about today's lesson," so there's that teacher thinking, there's that here's what we're trying to achieve today, and then you watch the lessons, and then we come back, what did we like, what did we not like. It's that we tried to model, authentically, unscripted, this is how we think about what we did today, and we interviewed kids ... so you'll see a lot of our students in unscripted moments talking about how this approach has affected them as readers and writers, and so, what I'm very, very grateful for is the support that Heinnemann put behind the project to have us fly across the country with crews in tow. We've captured a lot of really cool video. Some of it we've shared already and people are like "we want more of that," and some of it we've saved for the release of the book. Penny: Yeah, definitely. But I think that what Kelly just highlighted is gonna be so helpful for teachers because we're making the same decisions they're making. Is that the right text for tomorrow, is 27 records what do you think, what are their problems gonna be with this text and then you watch us go in and sit with these groups of kids and say "what did you notice about that?" How does that work and does it match what we thought they were gonna say, as we come back and say okay now, what tomorrow? I've never been able to see somebody do that. I would love to have watched Don Murray and other people who taught, to sit down and tell me what they were planning, and why they were planning it that way, so that I could then map my thinking on that and say, “ahh”. Brett: Same question, how would you advise them to use the videos. How would you advise them to sort of go through or approach the videos? Penny: Teachers need to set goals for their own practice, and I love Tom Newkirk's idea that you only have to get five percent better each year, and the change is exponential by the end of your career. And so what if a teacher says "I'm just gonna try reading conferences, I've never done it." You know and the night that Kelly called me before his year started and said "Tomorrow morning, I'm doing reading conferences, what am I supposed to say to them?" I loved this moment and I said go write about that, because teachers will say "oh my gosh Kelly, you've been teaching so many years, how do you figure that out?" And I'd love it a teacher asked themselves that question, how am I gonna do this in a room of 35 kids and then watch some of them, and thought, okay, I can ask some of those questions, because the kids don't know we're not good at it. Right? We just go in and we try our best to do it and that's just one way, but, you know, study one part of teaching. Kelly: I don't know, I would have teachers read the video like we teach kids to read text. You know, let's watch this, what's worth talking about? Start with teacher thinking. Wouldn't necessarily say we're gonna watch this five minute clip on conferring, and then here are four questions you're gonna answer. I would start with teacher generated thinking, and, what do you notice, what worked? What didn't work? And of course the most important question of all, how might this affect what you go do in your classroom Monday morning. Both of us have a lot of visitors come into our classroom from all over the place. But we also recognize there are a lot of teachers that can't get to New Hampshire, and can't get to California. But this video enables them to do so and so, I think that's a real treat. Penny: Modeling the range of reading we do, honors the diversity of texts, and the purposes for reading that, of course, vary by reader. Students enjoy recommending books to us, sometimes stacking them next to our white boards. We often read what students suggest to us. Why? It deepens, the conversations we have with them, and helps us know new titles to recommend to other students. Mostly, it shows students we take their thinking seriously, and have confidence in their taste as readers. Penny: We also have a number of management structures in place that support independent reading. They include, a reading list, where students keep track of their reading on the inside front cover of their writing notebooks, and we reference this while conferring. A next list, and ongoing list of titles students might want to read next. This list comes primarily from book talks and book shares with other students. The list goes on the inside back cover of their writing notebooks. And a student recommendation shelf, just like in a book store, students put sticky not reviews on the covers of books and the books are displayed on a shelf. Dear reader letters, are inside the front cover of some of our books. Students recommend books by writing brief reviews on the inside covers. We believe students should have agency in the classroom library. We ask them to help us organize it, and students are invited to make suggestions for purchases for our classroom library. To learn more about 180 Days and download a sample chapter, visit Heinemann.com. 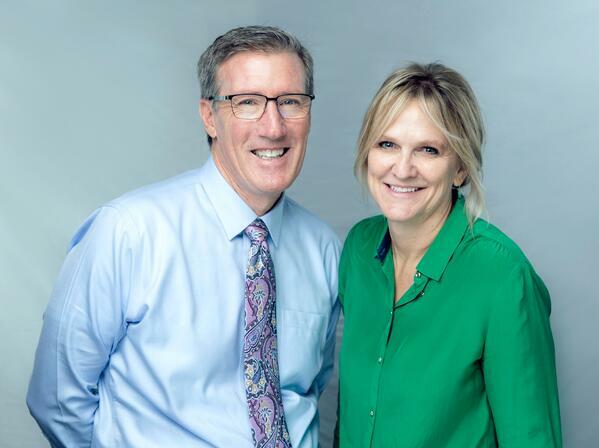 Kelly Gallagher (@KellyGToGo) teaches at Magnolia High School in Anaheim, California. He is the author of several books on adolescent literacy, most notably Readicide and Write Like This. Kelly is the former co-director of the South Basin Writing Project at California State University, Long Beach and the former president of the Secondary Reading Group for the International Literacy Association. 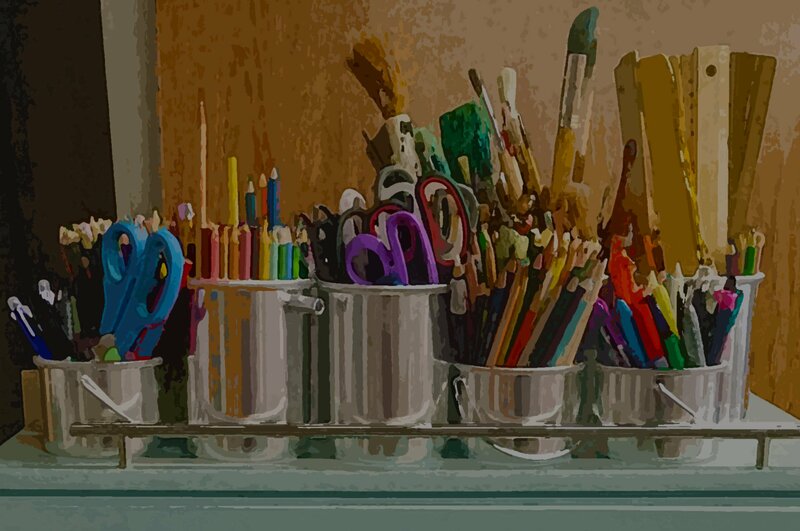 As a professional development coordinator for the Conway, New Hampshire, School District, Penny Kittle acts as a K-12 literacy coach and directs new-teacher mentoring. In addition, she teaches writing at Conway’s Kennett High School and in the Summer Literacy Institutes at the University of New Hampshire. Learn more about Penny Kittle on her websites, pennykittle.net and booklovefoundation.org, or follow her on twitter.